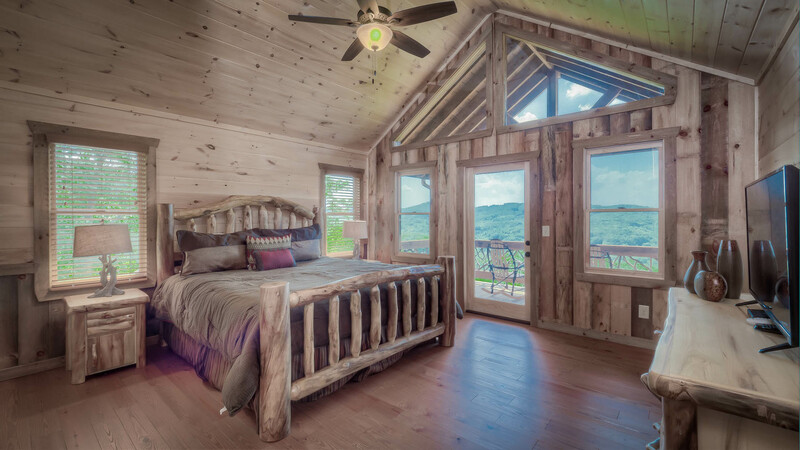 Amazing Grace, how sweet is this cabin?! 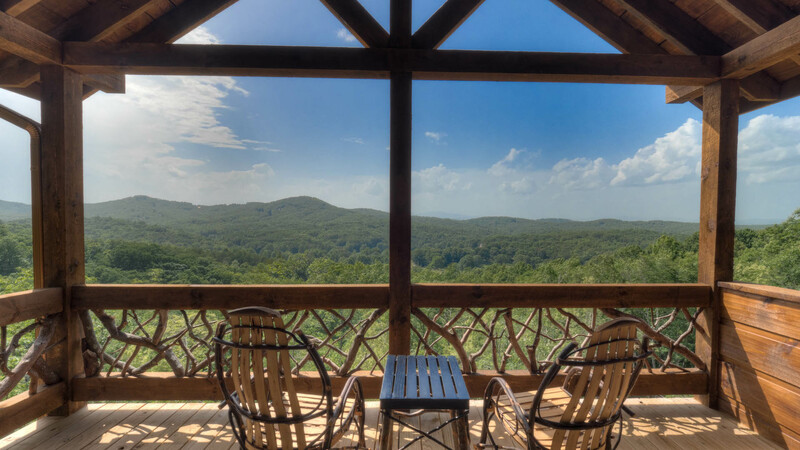 This stunning, 4 bedroom, 3 ½ bath cabin is located in the Aska Adventure area with a beautiful mountain view, lots of space, and of course lots of amenities that will make it your new favorite cabin! 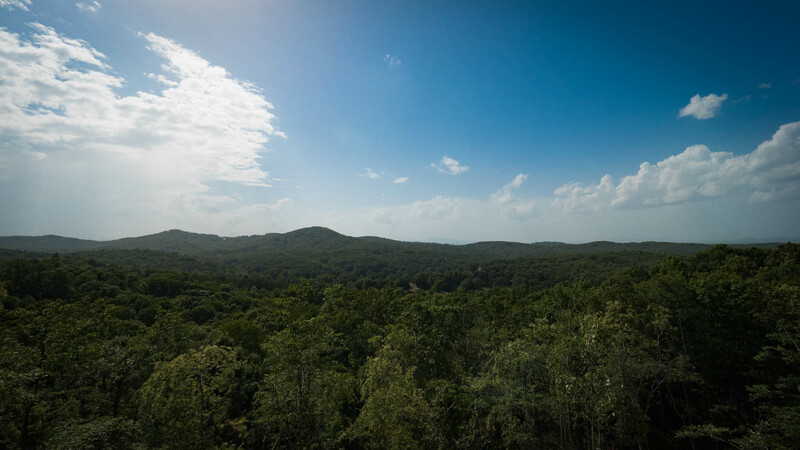 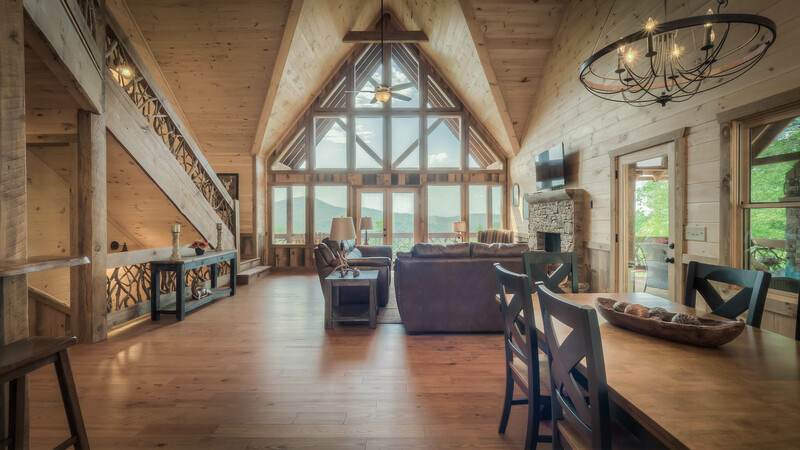 Upon entry of Amazing Grace, you’ll be stunned by the floor to ceiling wall of glass that faces the rolling mountain view as well as the luxurious living space and beautiful kitchen. 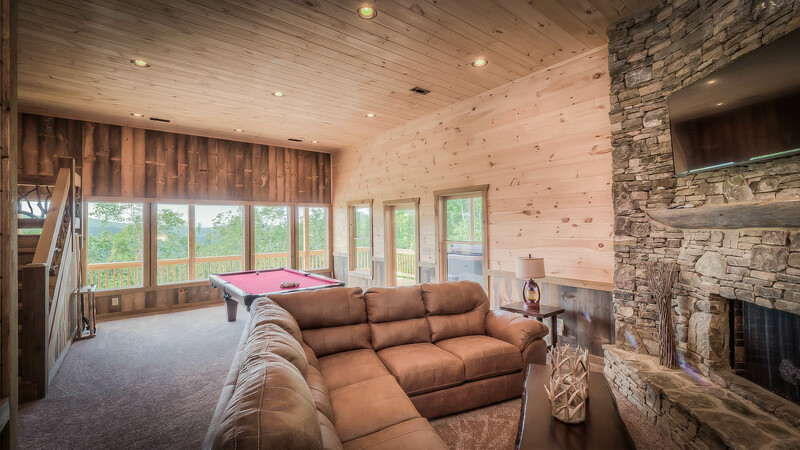 The living space has a stone gas log fireplace with cozy seating and a flat screen TV. 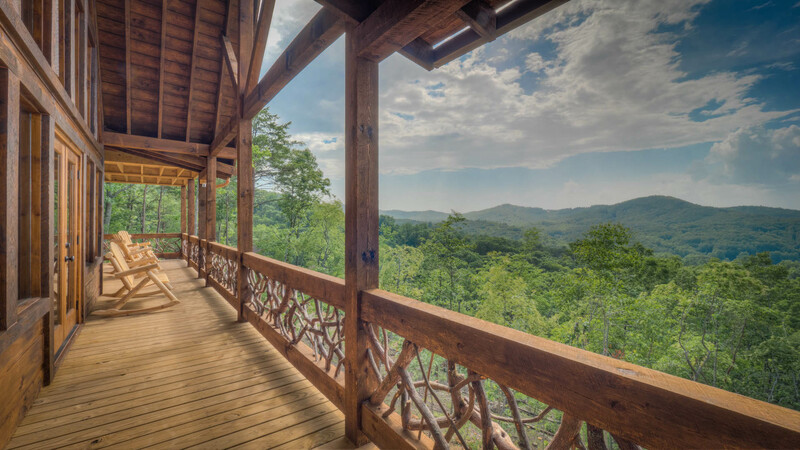 The living space flows into the kitchen which has a table with seating for 6 guests and breakfast bar with seating for 4 guests. 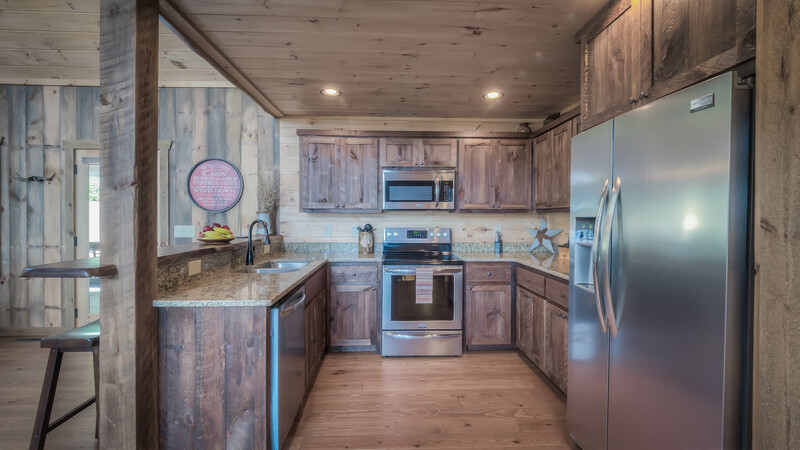 The kitchen is beautiful with its granite counter tops and stainless steel appliances. 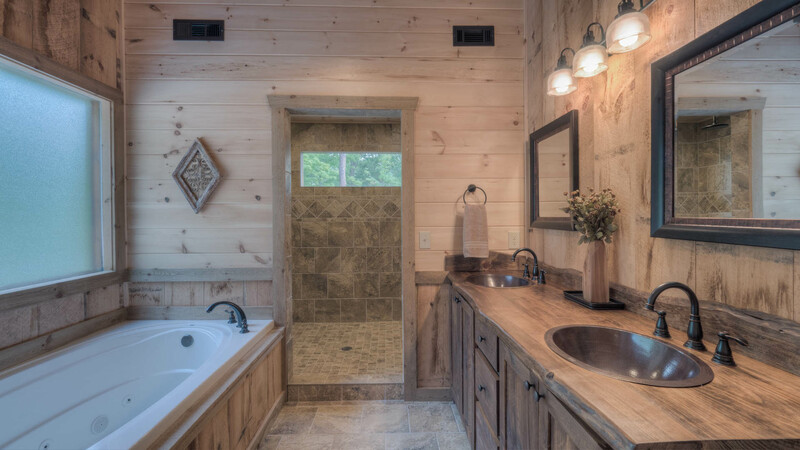 Just next to the kitchen is a handy half bath that also houses the on-site laundry services. 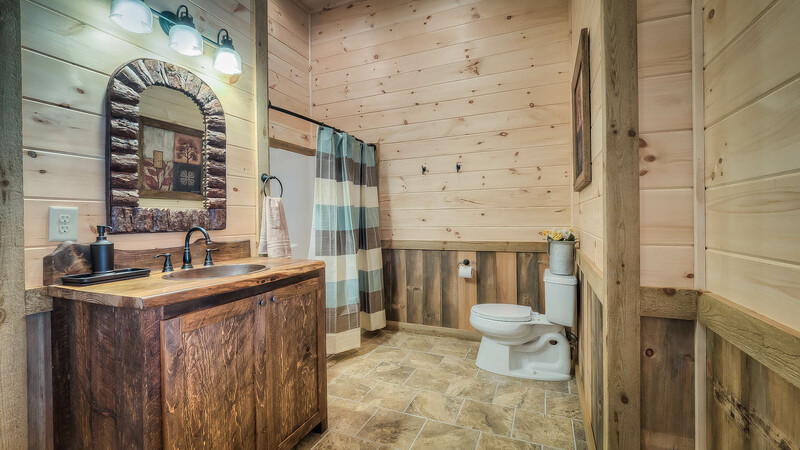 Around the corner you’ll find the main level bedroom which has its own bathroom. 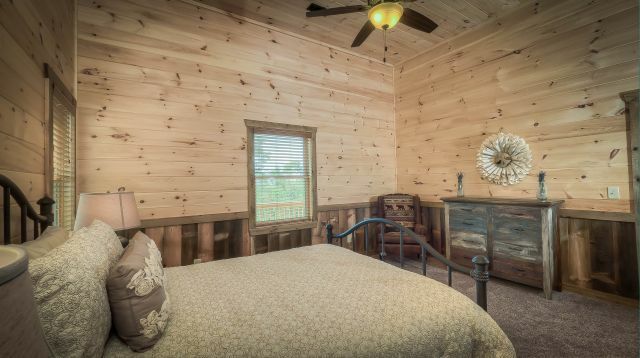 The bedroom has a flat screen TV and king size bed. 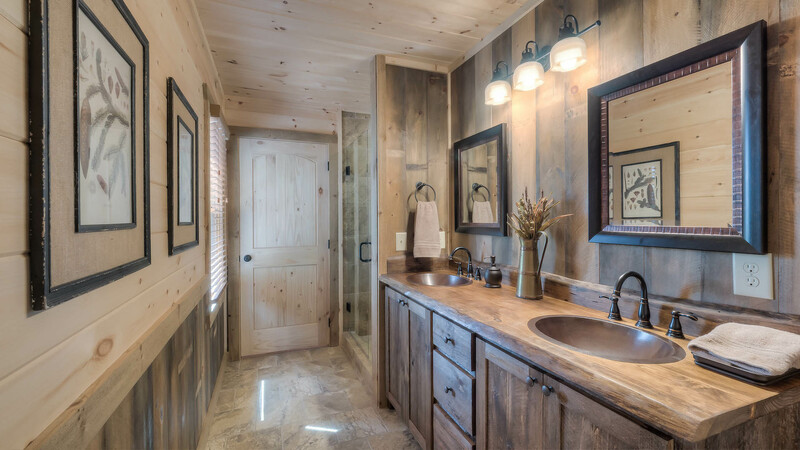 The bathroom has double vanities and a lovely tile shower. 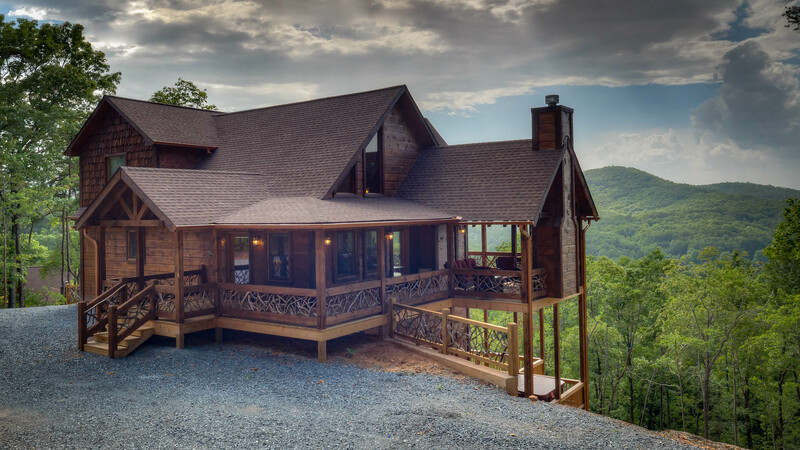 Outside the main level is the party deck! 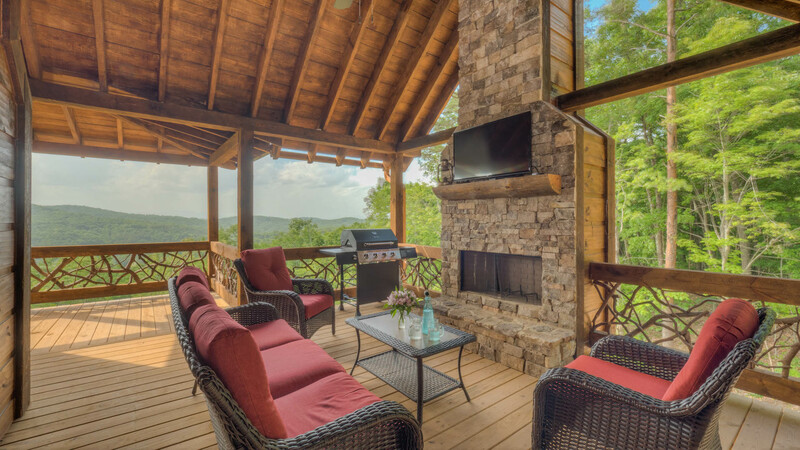 On the party deck you’ll find the gas grill, wood burning outdoor fireplace, flat screen TV, and outdoor seating… all this plus it overlooks the beautiful mountain view! 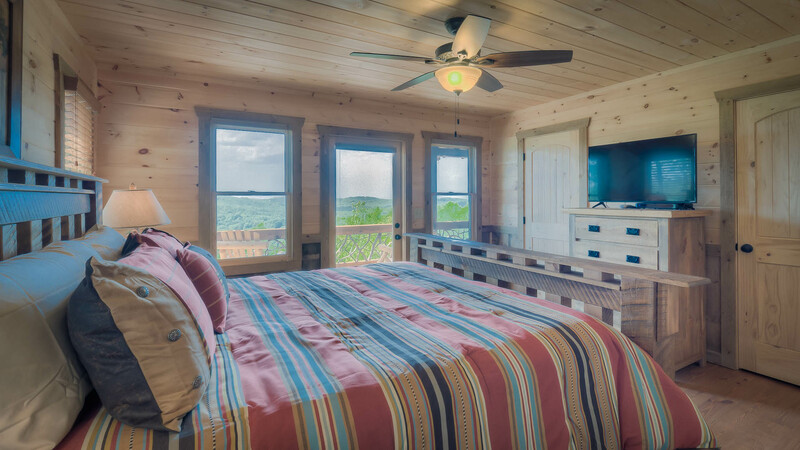 Head up the Mountain Laurel staircase for the cozy reading loft and of course amazing master suite! 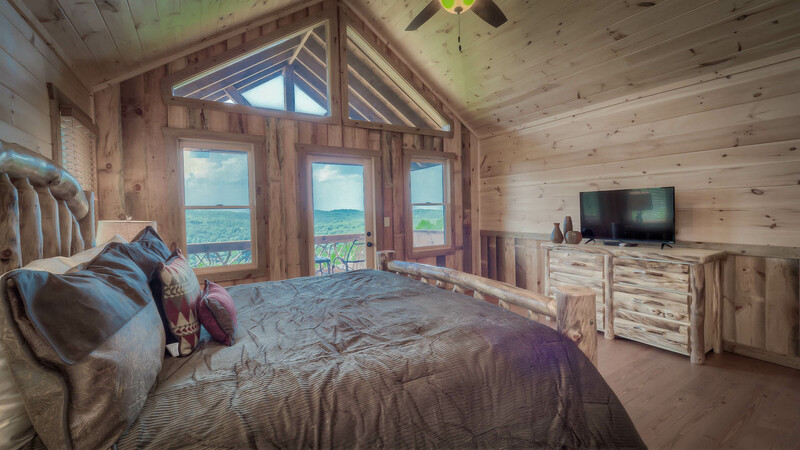 This master suite has its own private balcony, a king size bed, a flat screen TV, and a spectacular bathroom! 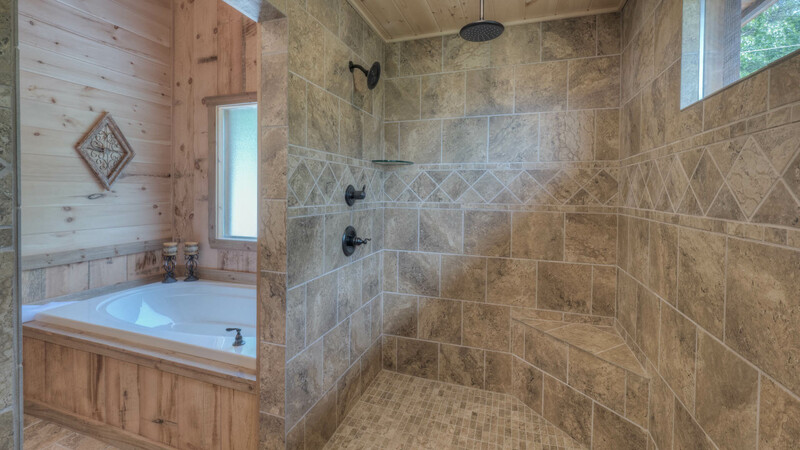 This bathroom offers a jetted garden tub, double vanities, and huge open tile shower with 4 showerheads! 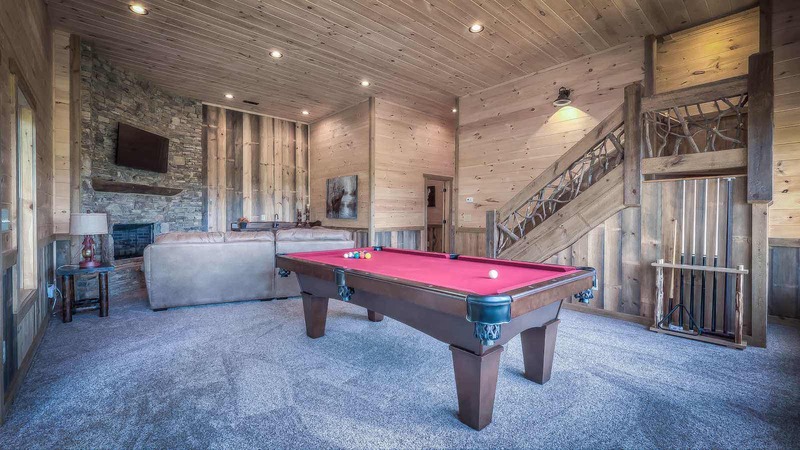 Down to the finished basement level for a game of pool, a soak in the hot tub, or just enjoying the large flat screen TV on the cozy sectional sofa. 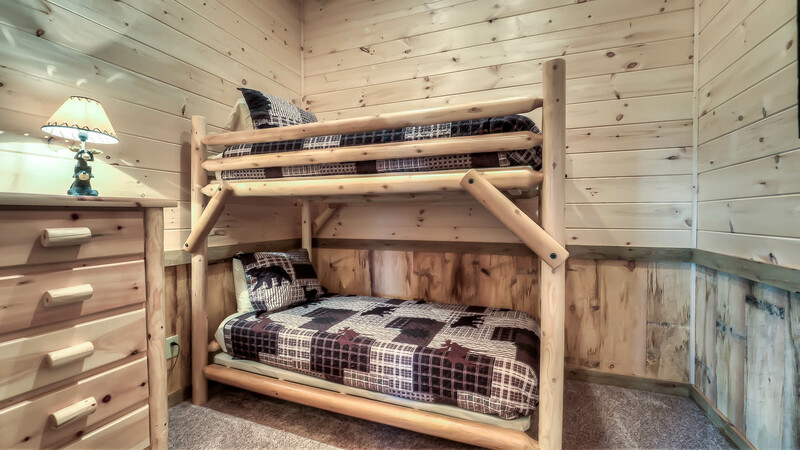 This level also has two separate bedrooms: one bedroom has a set of bunk beds which are both twins and the other bedroom has a Queen size bed. 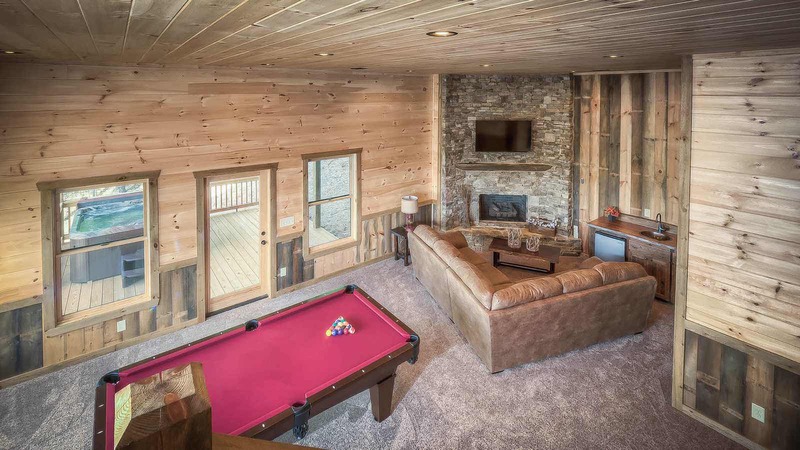 The game room level is perfect enjoying the pool table and it also offers a wet bar next to the sofa and gas log fireplace. 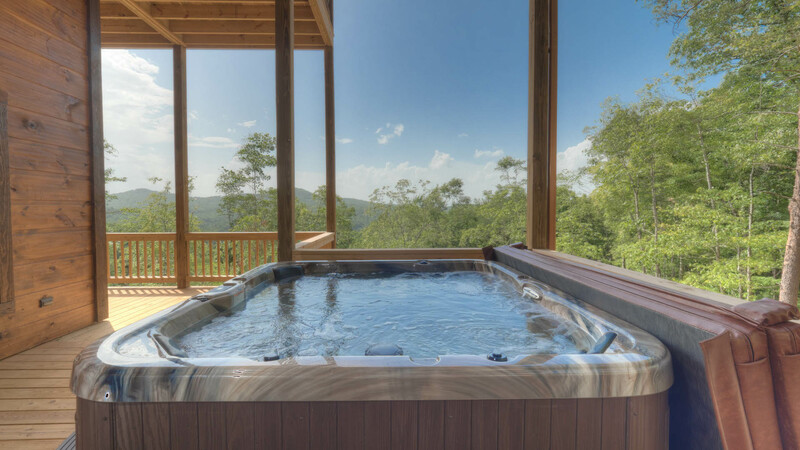 Just outside is the hot tub, perfect for relaxing watching the sunset and the stars come out. 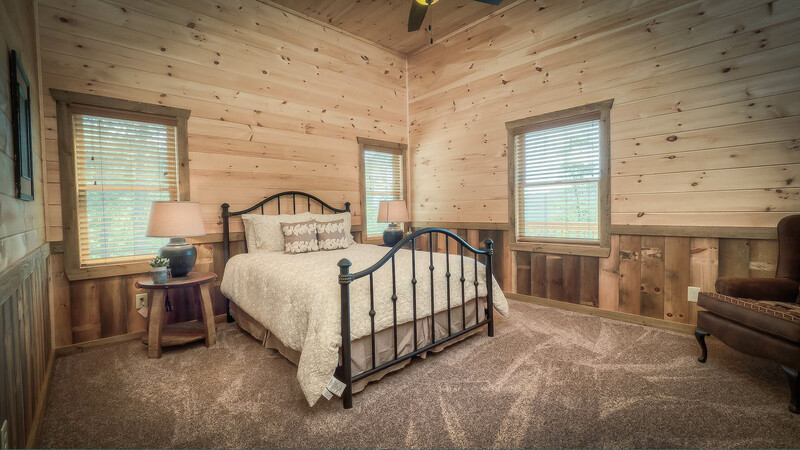 Amazing Grace is sure to be your new favorite cabin, so book it today and start planning your next mountain vacation!